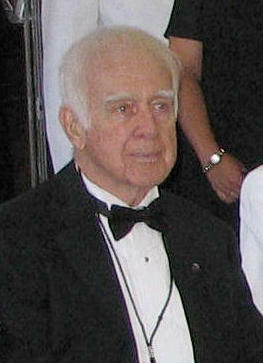 Newberg at the 64th BOM anniversary commemoration in San Francisco, 2006. Peter Newberg was an electrician’s mate aboard USS Yorktown (CV-5) during both the battles of the Coral Sea and at Midway. His primary contribution to No Right to Win was as a witness to one of the more bizarre occurrences in either battle, when a flight of Japanese aircraft confused Yorktown for their own carrier in the Coral Sea and nearly landed on it (pages 21-22). Newberg has been instrumental in sustaining the memory of CV-5 through the years as an active supporter of the ship’s veterans association. The Yorktown CV-5 Club maintains a large roster and still meets annually for a grand reunion.